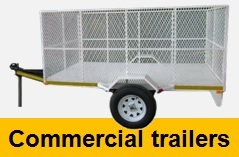 Platinum trailers manufacture all types of custom built trailers & loading bins all over South - Africa, Zimbabwe, Namibia, Botswana, etc. 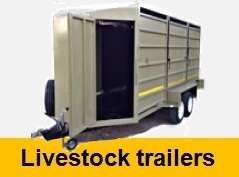 At our store we have a huge range of trailers in stock ready to go. 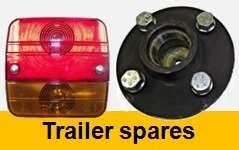 New trailers for sale range from car trailers, bobcat, game, forklift, quad bike, water tanker (500L - 10 000L), diesel tanker (500L - 10 000L), honey suckers, flat deck, mini flat deck, maxi sides, farm, sheep, general purpose, cattle, fire fighter, waste recycle, cold room, mobile toilet, catering, lusern, tipper trailers and many more.